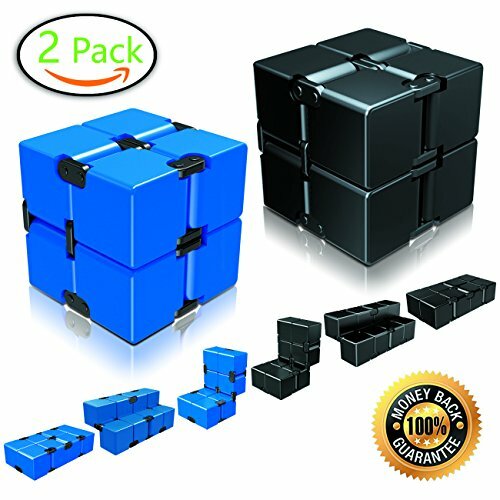 GREAT HAND FEELING - The infinity cube is flexible and durable, it can withstand constant flipping and folding. The infinity cube fidget toy has a smooth surface and curved edges that are easy on the hands. Relaxing, noiseless and compact tactile sensory cubes. Bring you endless finger pleasure by simply flip and fold it constantly to transformate different infinity shapes.